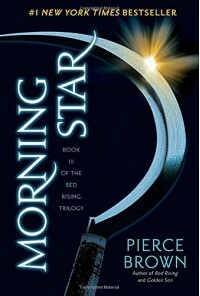 The trilogy ends on a solid note, an impressive effort by fairly new author Pierce Brown. Brown does a magnificent job of describing the conflict and pain Darrow feels as he escapes capture and reunites with his friends and colleagues to form the backbone of the Red Rising Rebellion (I made that phrase up). I continue to be impressed with how Brown really opens up the different classes of society by using the solar system as a backdrop, and he really places an emphasis on how Darrow relies not just on his story of revenge, but his friends as well to complete the uprising. The twists in the plot near the end are really well set up and revealed and it really pulls the story along to the concluding scenes. Brown uses a little more graphic and violent descriptions in this one, but considering what is going on and what is at stake, it seems only natural here. This series truly was Hunger Games in Space.